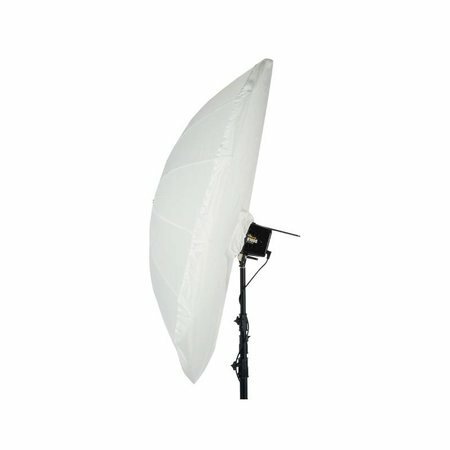 1x Paul C. Buff Diffusion Wit Front Fabric in 86"
The White Front Diffusion Fabric is available in 64”, and 86” for the corresponding size PLM™ umbrellas - for use with both the Soft Silver PLM™ and White PLM™ umbrellas. 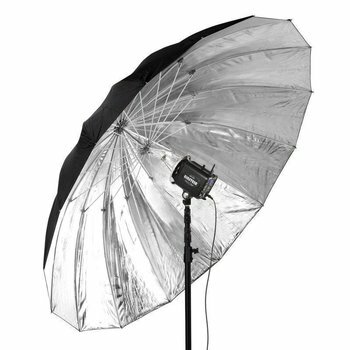 When used with the Soft Silver PLM™, the beam spread is widened and it becomes a superior bounced-light octabox with very even light across the surface. 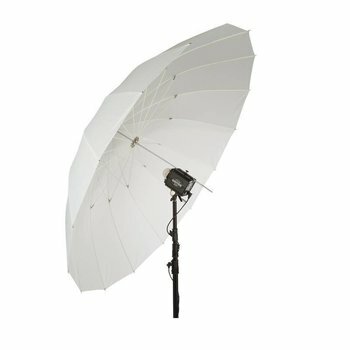 When used with the White PLM™, it produces a very soft, wide-angle bounced light source. 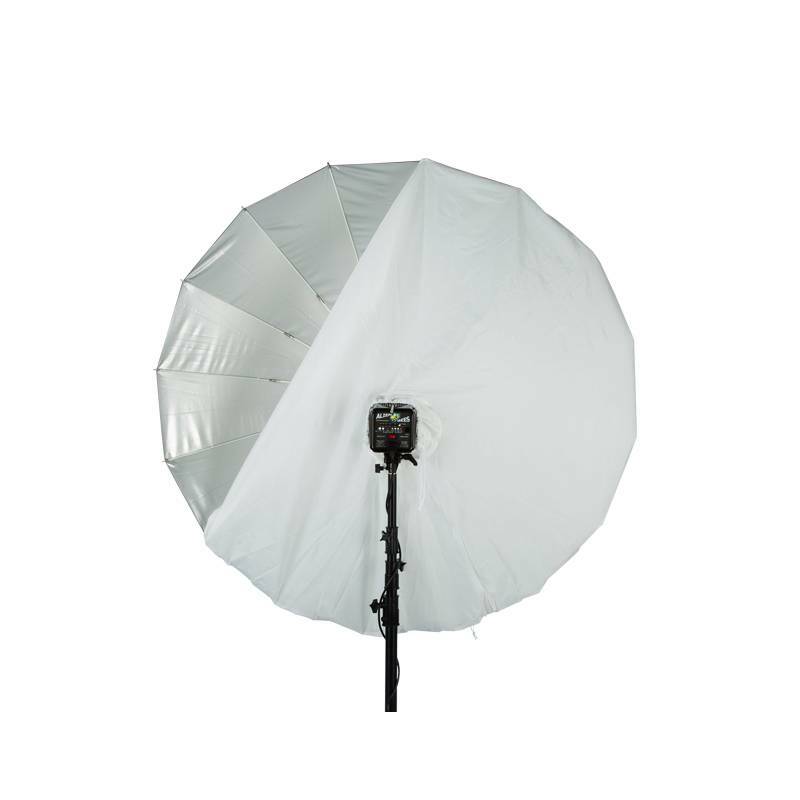 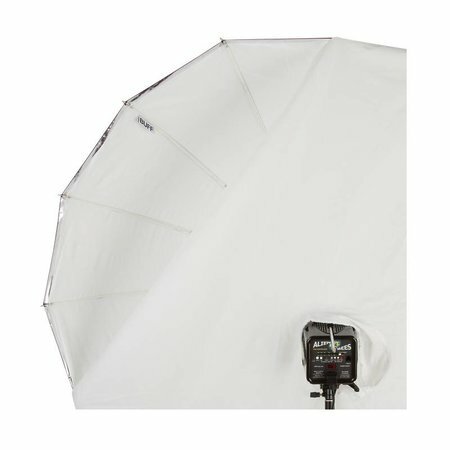 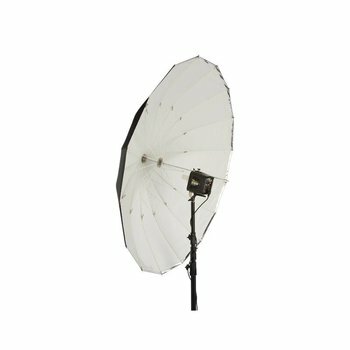 The white fabric fits over the face of the open umbrella and has a center hole opening for the flash unit (with a drawstring to tighten around the face of the flash unit).